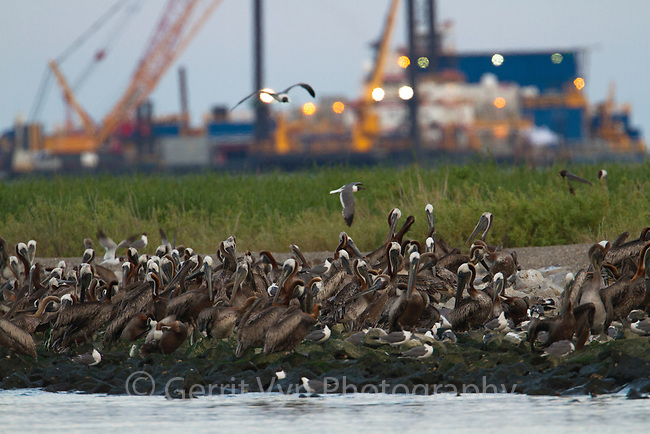 Adult Brown Pelicans (Pelecanus occidentalis) roosting on Queen Bess Island in Barataria Bay. The nesting colony on this island was heavily impacted by the Gulf oil spill. Response vessels are seen in teh background. Jefferson Parish, Louisiana. July 2010.